How to detect rj11 port in VirtualBox? First of all, sorry if this question doesn't belongs to this category. I want to be able to talk via soft-phone with my current telephone line. How I can detect the RJ11 port on my virtual machine? See More: How to detect rj11 port in VirtualBox? Thanks for answering. How I can call with my laptop? I want to install Asterisk* for save my conversations and my voicemail. We need to know more. What exactly do you have. A sound card that you use or a modem or usb handset or what. First of all, thanks for all the answers. @Jolicloud Thanks for the links, I'll try to find the answer to my question. 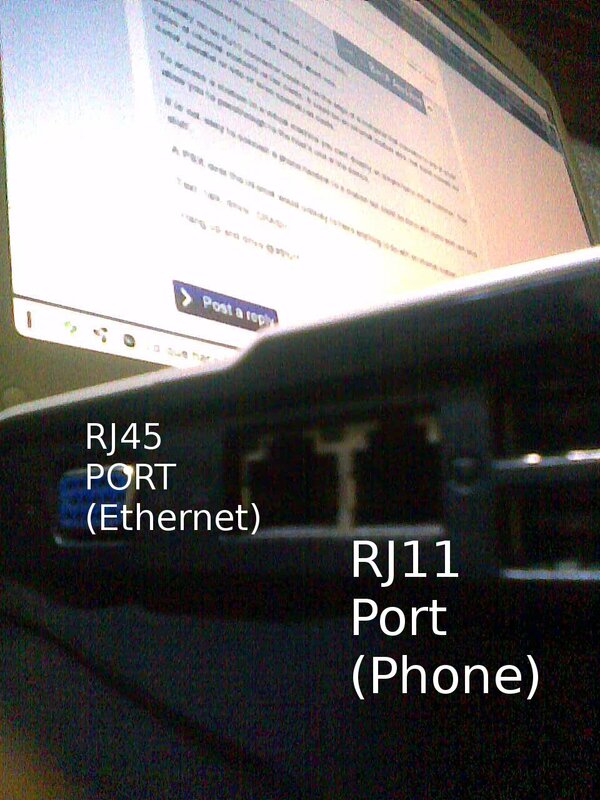 RJ11 Port is for an Analogue Dial-up Modem, does Debian configure/recognise the modem and install the drivers ? May we have the full specifications of this Laptop as Acer quite often have different hardware, even though the model number is the same! Why are you not running Debian as a full install rather than in a VM ? Then we need to know more about the PBX you have. Asterisk is a stand alone software to create a software pbx. The typical use is to have a computer with asterisk running and some supported hardware to interface with. @Jolicloud I don't know how to detect the RJ11 port. I only know the lspci command in the hardware area. Could you help me with that, please? I'm running Debian as a full install, but I want to have Asterisk in a VM. I'm reconsidering this and I'll install Asterisk on my Debian host. How are you receiving phone right now? POTS or internet? @jefro POTS, connected to a router. For your answers, I don't know if you understand me haha. I have no idea what you are talking about to tell the truth. RJ11 is a connector type, it tells nothing about use. Generally on an RJ11 connector could be on the edge of a computer that connects to one of a few types of internal modems or fax cards. It could be an external modem also. that could connect via serial, parallel or usb or even specialized cards. To access a modem in a virtual machine you can't directly on simple home virtual machines. They allow you to passthrough to the host's use of the device. It is not easy to connect a phone handset to a modem but could be done with some work and extra stuff. A PBX over the internet would unlikely to have anything to do with an internal modem. I decided to use Debian + Asterisk + random GUI natively (without VM). So, my question was, if I can do all that I want to do, connecting the phone wire to the RJ11 port on my laptop. Do you understand me now? Thank you for your patience. Watch the intro video at asterisk.